The North of England offers the best buy to let returns for landlords in the UK with central London at the bottom, according to new research. Investors looking for top buy to let yields are better off buying property in the North West, North East and the West Midlands where average rental yields are 6.4%, says the quarterly index from BM Solutions. 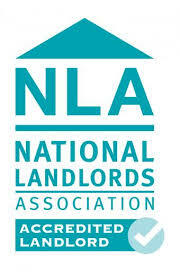 Landlords can also expect 6% in Wales, followed by 6.3% in the East Midlands, 6.2% in Scotland and 6% in the South West. The index also shows that average yields are 5.9% in the South East and outer London. In the East of England and Yorkshire and Humber it is 5.7% and central London is bottom at 5.5%. According to The Mistoria Group, leading investment specialists in student property, the BBC’s move to Salford has created a lot of interest in northern areas of the country. Property values in Salford and Liverpool have risen faster than in any other town in Britain since the start of 2014. ‘The North West offers buy to let landlords a multitude of affordable properties that will give net returns of up to 10%. For example, an investor can buy a HMO student let property close to a university that has been fully refurbished and furnished, and that is already tenanted for the coming year, for less than £150,000. This will give investors annual net returns of 9%,’ said Mish Liyanage, managing director of The Mistoria Group. ‘By choosing the right property and the right agent, investors can sit back and after years of working for their money, can finally see their money working for them. So if investors want top yields, they should avoid London and head north,’ Liyanage added. Retiree, Joy Townley from Calne, Wiltshire, recently bought two investment properties in Salford through The Mistoria Group. ‘I decided that property was the right choice for me because of the current low interest rates and I wanted a better return on my capital,’ she said. ‘I live in the South West of England where property is extremely expensive. Buying investment property in this part of the country was out of the question and the North West is a growing market. The numbers just added up and I am enjoying s consistent income stream. I’ll be keeping hold of the properties for the long term,’ she explained.